Are Users the Achilles' Heel of Security? Large enterprises are finally coming to the conclusion that security vendors and their solutions are failing them. 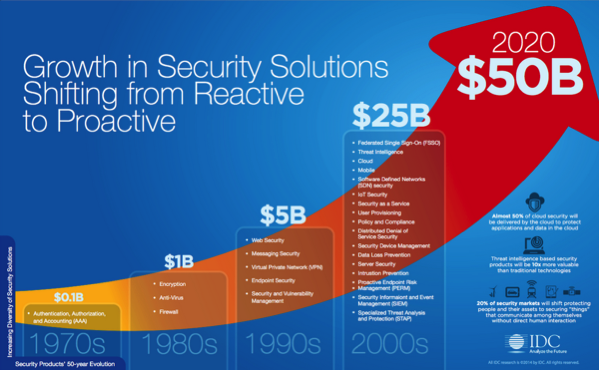 Despite the unbelievable growth in enterprise Security spend, organizations are not any safer. And security attestations like PCI and HIPAA, while helping with compliance, are not equated with a stronger security posture. Don’t believe it? Take a look at the recent announcement from Netflix where they indicated they are dumping their anti-virus solution. And because Netflix is a well-known innovator in the tech space, and the first major web firm to openly dump its anti-virus software, others are likely to follow. Even the federal government is jumping into this security cesspool. In a recent U.S. appellate court decision, the Federal Trade Commission (FTC) was granted authority to regulate corporate cybersecurity. This was done because the market has failed and it was necessary for the government to intervene through public policy (i.e. regulation or legislation). Research has indicated that security solutions are rarely successful in detecting newer, more advanced forms of malware, and scans of corporate environments reveal that most enterprises are already infected. While security has gotten better over the years, so too have the bad actors, whether cybercriminals, hacktivists or nation states. Malware-as-a-service has made this was too easy and pervasive. You know the bad guys are going to find ways to penetrate any barrier you put up, regardless if you are running physical, virtual or cloud (PVC) infrastructures. So is all hopeless, or is there a path to enlightenment by looking at this problem through a different lens? 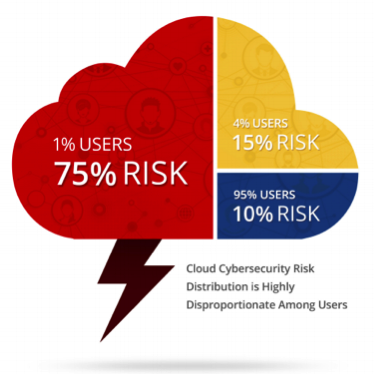 And the ROI of this approach is huge, because the report – which analyzed user behavior across 10M users, 1B files and 91K cloud applications – found that 75% of the security risk could be attributed to just 1% of the users. And almost 60% of the apps installed are conducted by highly privileged users. Given these facts, and that cybercriminals always leverage these highly coveted, privileged user accounts during a data breach, understanding user behavior is critical to improving one’s security posture. “As more and more organizations deploy modern-day productivity tools like Microsoft Office 365, Google Apps and Salesforce.com, not understanding what users are doing injects unnecessary and oftentimes unacceptable business risk,” said Mark Bloom, Product Marketing Director, Security & Compliance at Sumo Logic. This new, emerging field of User Activity Monitoring (UAM) – applied to Cloud Productivity and Collaboration Applications - can really help to eliminate guesswork using big data and machine learning algorithms to assess the risk, in near-real time, of user activity. UAM (sometimes used interchangeably with user behavior analytics – UBA) employs modeling to establish what normal behavior looks like and can automatically identify anomalies, patterns and deviations that might require additional scrutiny. This helps security and compliance teams automatically identify areas of user risk, quickly respond and take actions. Sumo Logic applications for Office 365, Salesforce, Google Apps and Box brings a new level of visibility and transparency to activities within these SaaS-based services. And once ingested into Sumo Logic, customers are then able to combine their activity logs with logs from other cloud solutions and on-prem infrastructure, to create a single monitoring solution for operations, security and compliance across the entire enterprise. Enable cloud productivity without compromise!